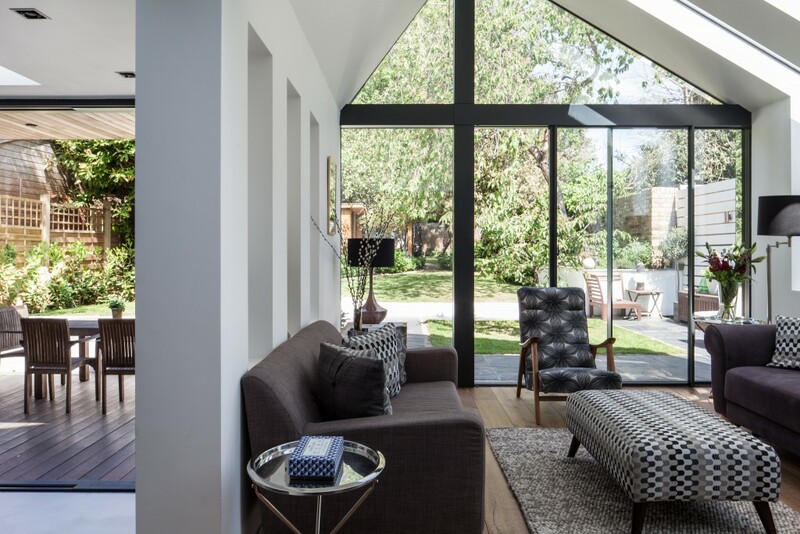 Our client’s brief for this project was to transform their existing ‘ordinary’ house into something architecturally unique and special, both internally and externally. The existing house had already been adapted from its original incarnation as a bungalow; however, the internal spaces were poorly designed and claustrophobic, and the exterior was architecturally underwhelming and tired. The rear garden was higher than the existing ground floor level which created a poor relationship between the internal areas and the external garden spaces. 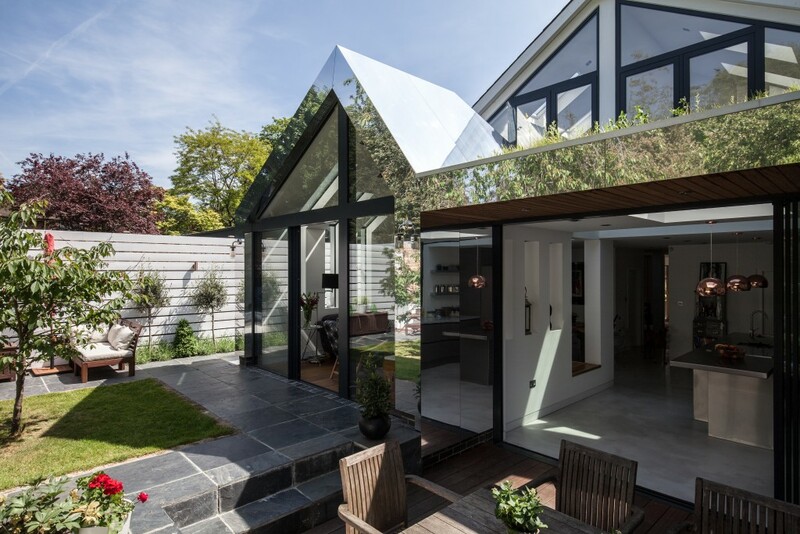 A new rear extension was designed which sought to re-establish a strong connection between the internal and external spaces by introducing steps both internally and externally. This creates a dynamic play between the interior and exterior spaces. 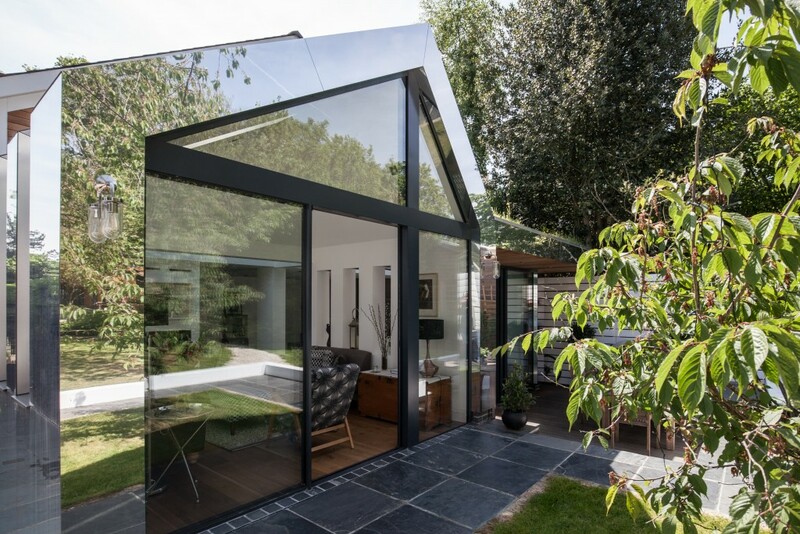 The volume of the rear extension is carefully considered to provide shelter via a cantilevered canopy on one side; and a taller pyramidal form on the other. Windows are carved into the angles of this geometry to accentuate the expressive forms. Externally, the walls of the extension are clad in mirror which reflects the densely planted surrounding landscape and tree foliage. Externally the building disappears into its immediate context becoming partially invisible. 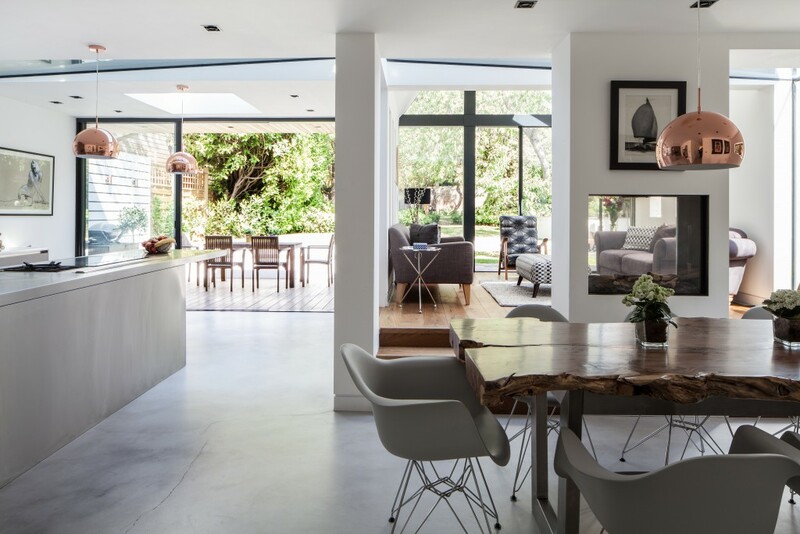 The whole of the rear extension is then separated from the existing house via a structurally glazed link. 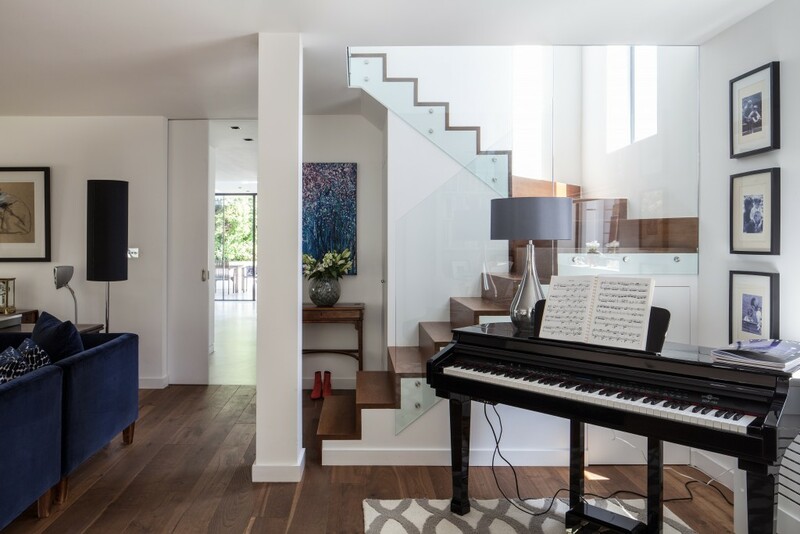 This provides a soft transition between the original and new areas; but more importantly, it floods the internal ground floor spaces with light. 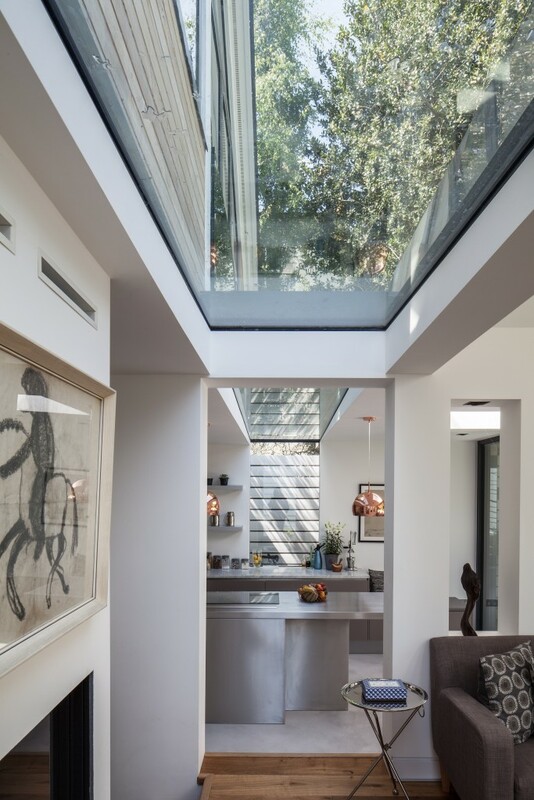 The existing roof to the house was removed, and reconstructed to a steeper pitch and at a higher level in order to enable an additional bedroom, and an additional ensuite bathroom. 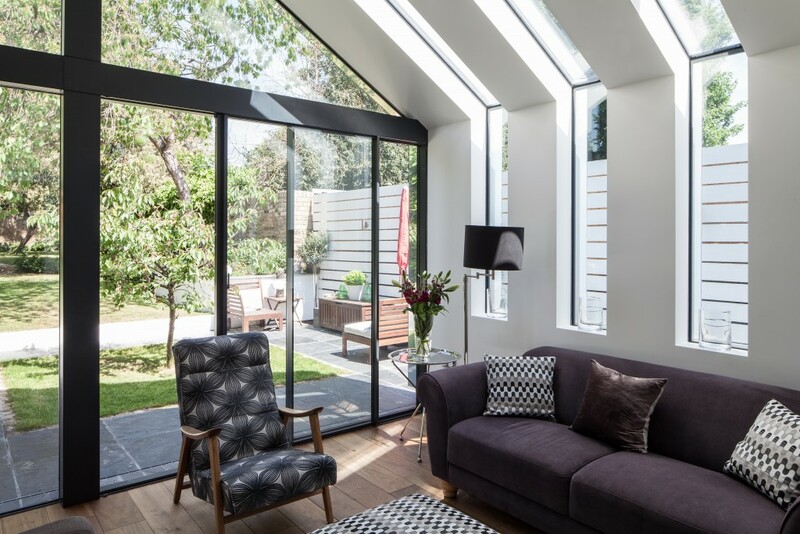 New rooflights and extensive glazing to the rear first floor elevation provided a good amount of natural daylight to the first floor bedrooms and bathrooms; as well as strong visual connections to the rear garden. 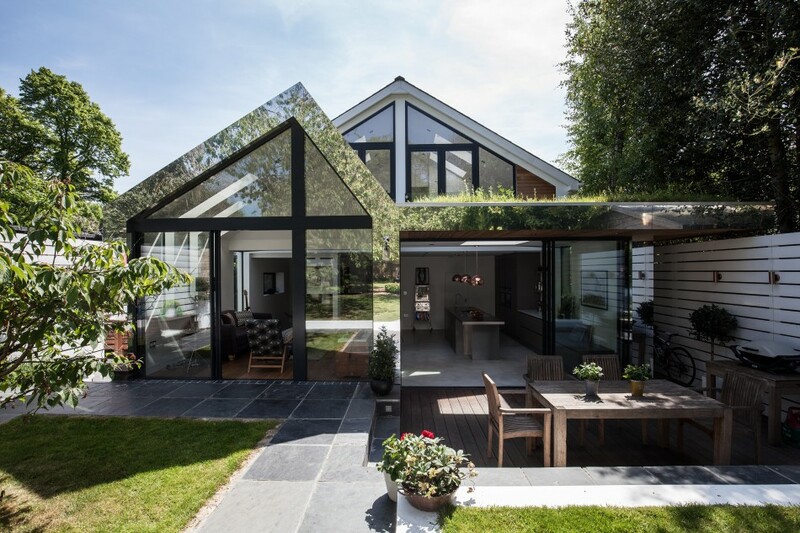 One side of the rear extension was planted with a bio-diverse wild flower green roof which softens the extension into the landscape when viewed from above or below. 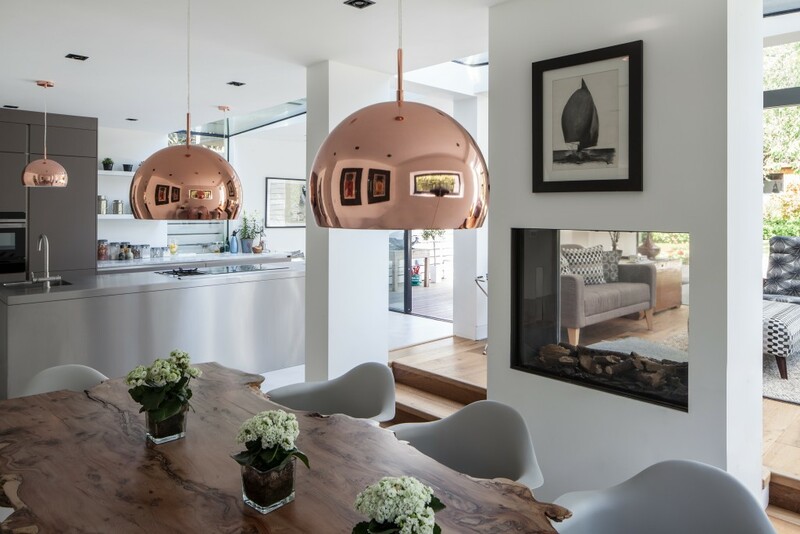 The remainder of the house underwent extensive refurbishment work transforming the whole house beyond recognition.